Brains Eating Contest and Costume Contest CLICK HERE! The zombie walk is an organized gathering of zombies who make their way into the streets of Long Beach by Shoreline Village and around The Pike through the Harbor (in a roundtrip 35-45 minute walk) in an orderly fashion. During the walk, participants are encouraged to remain in character as zombies and to communicate only in a manner consistent with zombie behavior, which may include grunting, groaning or slurred, moaning calls for “brains.” Pose for pictures. Dance like Michael Jackson in the “Thriller” music video. Act out a scene from The Walking Dead. Look menacing. Growl a lot and have fun doing so. Unhallowed Productions takes you on an intense and terrifying 3000-square-foot journey where adrenaline and fear for survival becomes a reality. YOU CAN BE A PART OF THE ACTION! IT'S FREE! 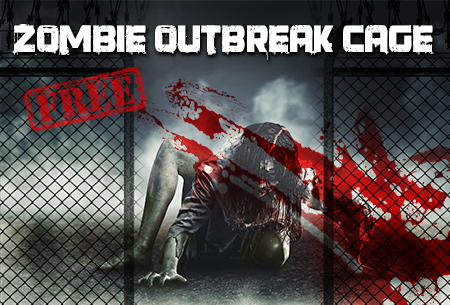 The tables are turned when you enter the interactive Zombie Outbreak Cage, where you’re given 15 minutes to draw blood-curdling screams from your victims — it's where festival-goers get to scare the hell out of people. 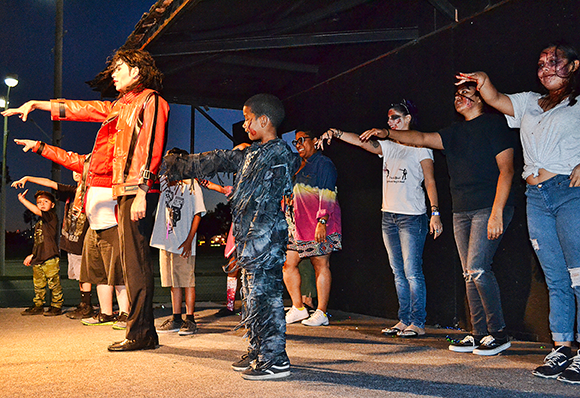 Find your inner zombie and learn one of the most requested choreographies ever made...THRILLER! If you have always wanted to learn the famous moves from Michael Jackson's Thriller, or if this an annual tradition and you just want to polish your moves, then this workshop is for you! This workshop is for everyone, from the complete beginner with no dance experience, to those who've been dancing all their lives. It's about letting loose and having a good time. Appearing Friday, Saturday and Sunday - FREE! 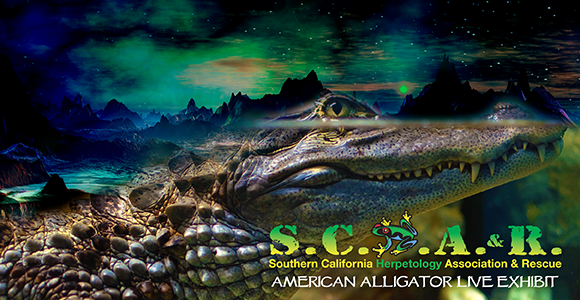 EXCLUSIVE: Behind-the-Scene Photo w/Live Alligator, 5-5:20PM Fri, 3-3:20PM Sat/Sun - $10 Donation to SCHAR for Rescue. On a first-come, first-serve basis. ONLY AVAILABLE THE FIRST 20 MINUTES AT THE OPENING OF EACH DAY OF THE EVENT. 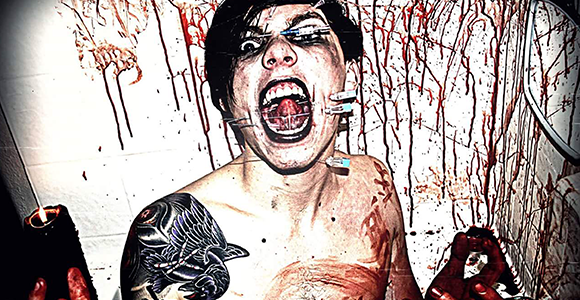 A true Anatomical Wonder and Sideshow Performer. Dangerous D is known for performing dangerous stunts, you won't see anywhere else in the world...he is constantly pushing his mind, body, and soul to life threatening limits. Appearing Friday, October 19h @6PM and 9:15PM at Freakshow Tent, Saturday, October 20th @3PM on Second Stage and 6:30PM at Freakshow Tent, Sunday, October 21st @5PM on Second Stage and 8:30PM Freakshow Tent. 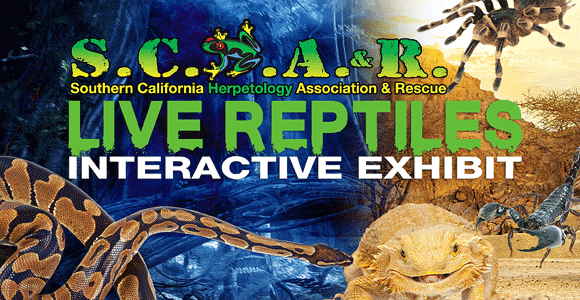 Featuring live reptiles that glow-in-the-dark. It will push you to face your biggest fears! Those who dare to put their hand in the boxes to determine “What is it?” might discover it is filled with giant hissing cockroaches, flesh-eating worms, crickets, stink beetles or maybe something more grotesque. For many, the fear of the unknown will be less frightening than any of the creatures to crawl/slither on them. Brought to you by S.C.H.A.& R.
Step right up! 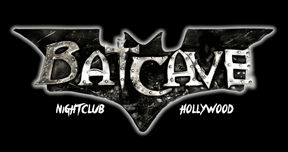 The infamous Batcave Hollywood hosting the spooky lounge, playing a mix of Halloween favorites and dark eighties, darkwave, and industrial. Come relax and enjoy everything from the Misfits, to the Cure, to Siouxsie! 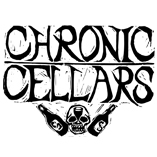 Top DJs from L.A.'s dark underground clubs spinning your favorites! 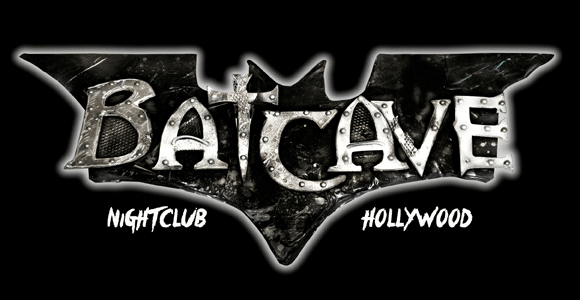 Featuring special performances on the second stage and in front of the Batcave Lounge all weekend long! The fastest, most intense light-based fencing format anywhere in the world. Ultra light-weight blades and armor that is fast, mobile, and safe. A super-fun immersive art installation that shoots you off to outer space - visually, that is. You won’t believe your eyes! All ages will love it. Stunts that will leave you in shock. Pushes the boundaries in just about any way possible, doing things with the human body most would think as unbearably painful, and IMPOSSIBLE. Looks fear in the face as he performs the impossible and insane - leaving your jaw dropped, questioning everything!! Lives up to the madness...OR DIES TRYING! Appearing Friday, October 19h @5PM on Second Stage and 7:15PM at Freakshow Tent, Saturday, October 20th @5:30PM on Second Stage and 8:30PM at Freakshow Tent, Sunday, October 21st @3:15PM on Second Stage and 6:30PM Freakshow Tent. Shake what your Zombie Mama gave You! Calling all Zombies to learn the New Dance Craze, to keep You out of Your Grave! It's the “Zombie Watusi”! It started six feet underground, now it’s coming to your town. The “ZOMBIE WATUSI” a New Original Dance from The Rhythm Coffin. Their Ghoulie Girls teach you the moves, and make it Fun and Easy to learn these New Zombie Grooves! Of Corpse it’s Ghoul Cool for All Ages and Stages (of Decay). 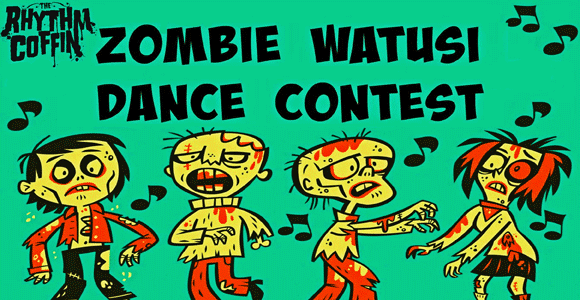 So Shake, Rattle and Monster Rock n Roll Your Bones to a “ZOMBIE WATUSI” Dance Contest Workshop with a prize winning winner at each contest. Put Your Ghoul Foot forward and get Up on the UnDead Dance Floor - Mwa ha ha ha ha ha haaaaaaaa!! Appearing Saturday, Oct. 20th @4:45PM and Sunday, Oct. 21st @4:15PM on Second Stage. 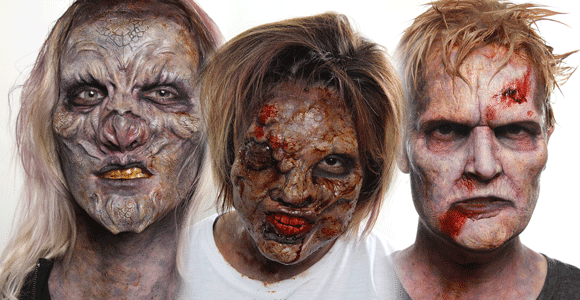 Hollywood special effects make-up artists from Cinema Makeup School will be providing their expert services FREE to all attendees who need assistance in finding their inner zombie! Also, in addition to the free regular zombie makeup, we'll be offering prosthetic appliances for sale to patrons who want to take their zombie makeup to the next level. For $60 you will get a professionally made prosthetic applied to your face by one of our top artists on site. 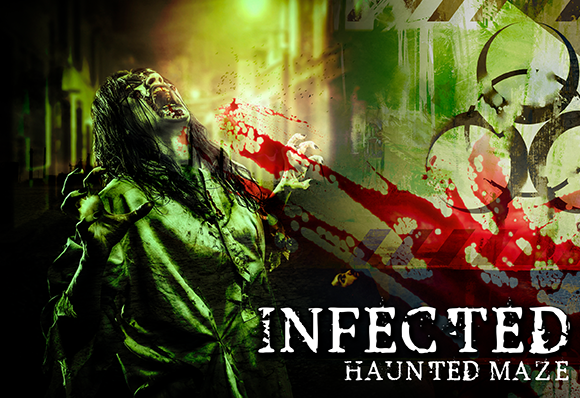 Interactive attraction where you will try and survive against a continuous horde of Zombies. Appearing CANCELLED FOR THIS EVENT. Call them morbid. 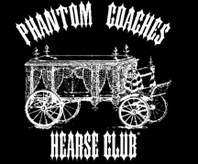 But members of the Phantom Coaches Hearse Club wouldn't be caught dead without their cars. So...are they morbid-minded ghoulies who sleep in coffins and hold monthly graveyard meetings? 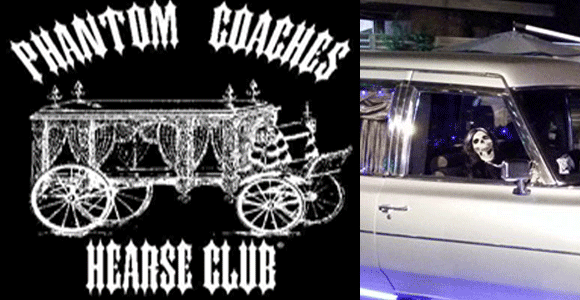 Well, okay, you are right about the graveyard meeting part ;-) But the fact is, they're a group of people from ALL walks of life who just happen to enjoy hearses (and flower cars, and limousines, and ambulances...). 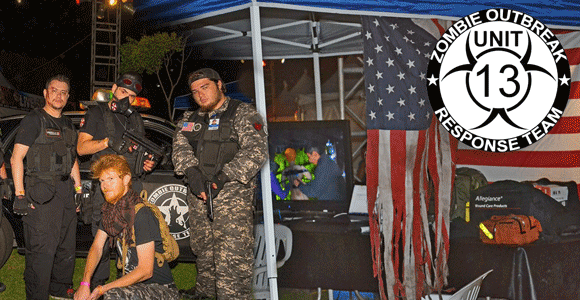 Will be dispatching containment units in the event of a zombie outbreak. What happens after one 'turns' into a zombie? Do our souls leave our body or are we aware of our need to feast on the flesh of the living? 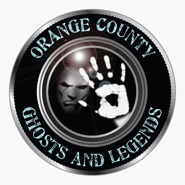 Visit Orange County's premiere haunted events & paranormal team - OC Ghosts and Legends and find out for yourself. 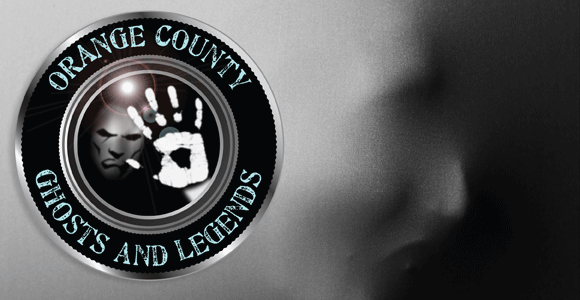 Will be doing live stream interviews and drawings to win exclusive haunted tour and event prizes/giveaways. General Admission includes: Live Music, Infamous Zombie Walk, Interactive Zombie Outbreak Cage, Live American Alligator, Nightmare Maze, Zombie Apocalypse Scavenger Hunt, The Altervision 3D Blacklight Experience, Auzzy Blood Vegas Freakshow, Thriller Workshop, Darin “Dangerous D” Malfi Ultimate Shock Show, Free Souvenir E-Photo, Zombification Zone - Hollywood special effects make-up artists from Cinema Makeup School providing their expert services FREE to all attendees who need assistance in finding their inner zombie (FREE ZOMBIE MAKE-UP SERVICES), Costume Contest, Live 100+ Reptile Interactive Exhibit with Fear Factor Attraction, BRAINS Eating Contest, Phantom Coaches, Batcave Hollywood Lounge, Zombie Patrol Team, Umbrella Corps of Los Angeles. 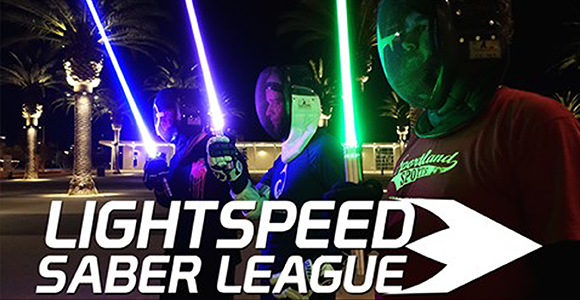 Friday and Sunday Only: Lightspeed Saber League matches and demonstration workshop. Saturday Only: Paramount Pictures presents Overlord (in theaters 11/9/18) Roaming Army Unit with Giveaways and Overlord Costume Contest. 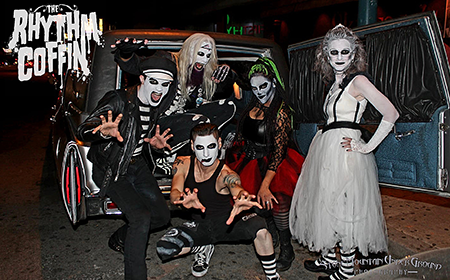 Saturday and Sunday Only: Zombie Watusi Dance Contest Workshop by The Rhythm Coffin. Prove that you are a real Zombie! Are you hungry? 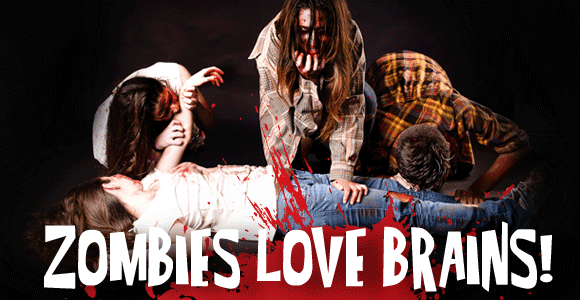 Do you love braaaaaaains? 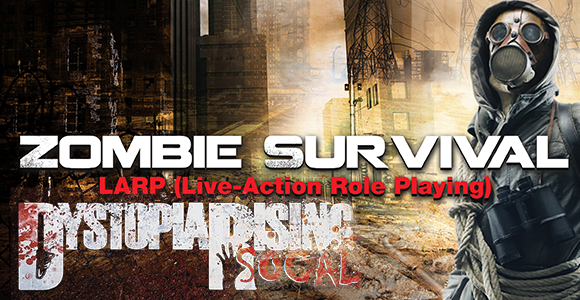 This contest is not for the faint of heart, only REAL ZOMBIES APPLY. Zombies eat everything, so we have a disturbing food dish where real brains and other parts are served. When the zombie apocalypse happens, we'll know whom to avoid. A Kids version will also be available. Open to a max. of 10 entries per contest for Adults. Open to a max. of 10 entries per contest for Kids. Contest to be held on Friday, October 19th @7PM, Saturday, October 20th @6:30PM and 9PM and Sunday, October 21st @6PM near Second Stage. 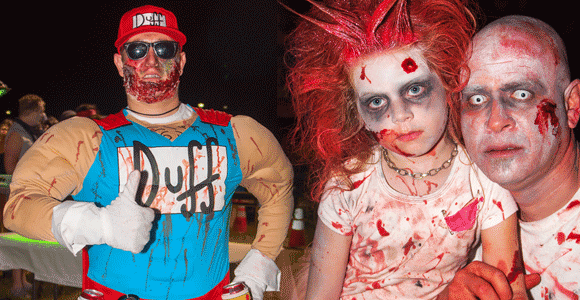 Enter our Costume Contest to show off your talent. Do-It-Yourself costumes. Think of your favorite character from cartoons, anime, comics, movies, television shows, video games, sports, etc. and ZOMBIE it up! Contest to be held on Friday, October 19th @9PM, Saturday, October 20th @8:30PM and Sunday, October 21st @8:30PM at Second Stage. Dress up like your favorite Overlord themed character. Contest to be held on Saturday, October 20th @9PM at Second Stage. Guest Judges: Overlord Roaming Army Unit.